Approximately 575 low-wage, predominately Latino workers at seven El Super locations are represented by four Southern California UFCW Union locals. On September 27, 2013 their collective bargaining agreement with El Super expired and the company has since refused to negotiate a new contract. Instead, El Super implemented its “last, best and final offer” – one that that did not adequately address the member’s most important issues: living wages, respect on the job, seniority rights, affordable health benefits, paid sick leave, and a guarantee of 40 hours per week for full-time workers (who are currently guaranteed 32 hours). On December 20, 2014 – after more than a year of attempting to negotiate – the unions and our El Super members called for a boycott of El Super markets. The boycott was called on the heels of a government-supervised recertification election the company compelled on December 12 where members overwhelming voted 3-1 in favor of retaining the UFCW with more than 90% of eligible workers voting. Both the California Labor Federation and the Los Angeles County Federation of Labor have given their full support to the boycott following the company’s refusal to return to the bargaining table. 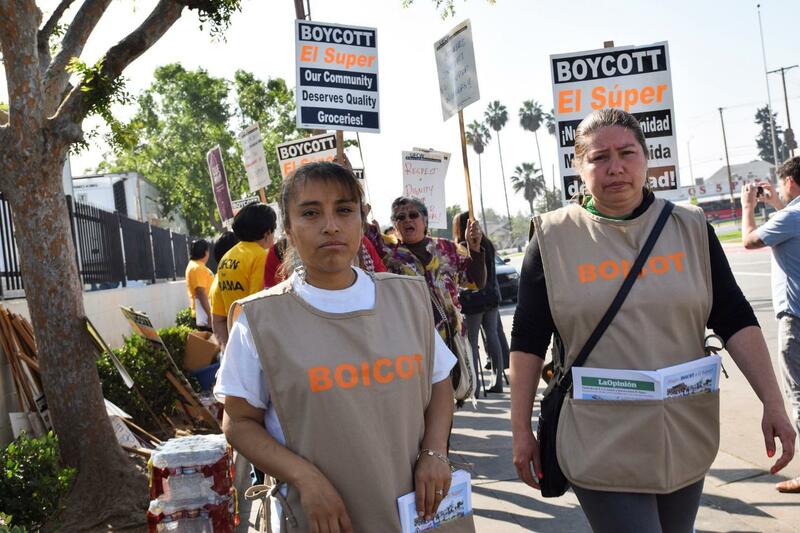 And with growing support from more than 100 community-based organizations, faith groups and labor and government leaders, the boycott will continue until El Super workers receive a fair contract and the respect they deserve. Learn more and take action today at boycottelsuper.org.